Attorney General Bob Ferguson this month announced that national hotel chain Motel 6 will pay $12 million to resolve his lawsuit against the company for voluntarily providing guest lists to agents of U.S. Immigration and Customs Enforcement (ICE) on a routine basis for over two years. In addition, Motel 6 signed a legally binding commitment to no longer hand over guest information without a warrant or other lawful basis at all locations, and must adopt this policy nationwide. The company will provide training for its employees to ensure they do not release guests’ private information unlawfully. The Attorney General will monitor Motel 6’s policies and training for the next three years. Many Motel 6 locations in Washington turned over the personal information of their guests to ICE on a daily basis without requiring a warrant. From 2015 to 2017, seven Washington locations shared the personal information of approximately 80,000 guests. Each time Motel 6 released a guest list, it included the private information of every guest at the hotel without their knowledge or consent, violating their expectation of privacy. In addition to violating the privacy of tens of thousands of guests, Motel 6’s disclosures resulted in ICE’s targeted investigation of many guests with Latino-sounding names on or near the Motel 6 properties where they stayed. For some guests, Motel 6’s disclosures resulted in the loss of their homes and jobs and separation from their families. As a result of Motel 6 turning over private guest information unlawfully, many Washington consumers faced questioning from ICE, detainment or deportation. The Attorney General’s investigation found Motel 6’s actions led to the detainment of at least nine Washingtonians and had serious consequences for several Washington families. For example, one Seattle man stayed at a Motel 6 near SeaTac for one night wrapping Christmas presents for his four children. ICE agents approached him in the hotel’s parking lot, detained him and deported him some days later. His wife had to retrieve the presents and his other belongings from the Motel 6 after his arrest. The man was the sole provider for the household, and his wife is currently struggling to support their toddler and four other children. A Vancouver father and business owner who had lived in the United States for more than 20 years, was detained after staying at Motel 6 on a trip to pick up supplies for his small grocery business. He was the primary breadwinner for the family, and his family could not maintain their business and home after his deportation. His wife and six children now struggle to make ends meet. After receiving his information from Motel 6 employees, ICE agents detained a Washington man who had lived in the U.S. since he was 1 year old as he was getting milk for his baby from his car in the Motel 6 parking lot. The man was released from detention after six days and remains in the U.S. However, his employer replaced him while he was detained and he was not able to obtain another job for several months, putting financial strain on his family. Ferguson filed a lawsuit in January 2018, asserting that Motel 6’s disclosures of private guest information violated the Consumer Protection Act and the Washington Law Against Discrimination. To resolve the lawsuit, Motel 6 will pay $12 million and ensure its policies and training protect the privacy rights of its guests. After attorneys’ costs and fees, the payment will provide restitution and monetary damages to the approximately 80,000 guests whose information Motel 6 unlawfully provided to ICE. Consumers who stayed at one of the seven locations during the time frame that the practice occurred will be eligible for restitution. The locations are: Bellingham, North Everett, South Everett, South Seattle, South Tacoma and two SeaTac locations. Ferguson encourages consumers and their family members affected by Motel 6’s unlawful policy to contact to the Attorney General’s Civil Rights Division here. Washington’s consumer protection laws protect everyone who lives in Washington state. The Attorney General’s Office helps all Washingtonians. The office is not part of the federal government and will not turn over information to immigration authorities. In addition to the payment, the resolution ensures that Motel 6 will not provide guest information without a judicially enforceable search warrant or a credible reason to believe that someone is in imminent danger. Motel 6’s online policy and training must reflect these requirements. Motel 6 employees must contact the company’s legal department for authorization before providing any guest’s personal information, unless guests are in imminent danger. Motel 6 will provide training to all employees who have access to guest information and a 24-hour hotline for employees to call with questions about how they should handle information requests. Additionally, the company will create and publicize online a mechanism for guests to report incidences where they believe the hotel chain has shared their or other guests’ information unlawfully. All complaints and incidences where law enforcement obtained guest information, whether lawfully or not, must be recorded and maintained at Motel 6. All Motel 6 locations nationwide must comply with the new policies. The company must seek approval of all policies and training, and provide records and other reports to the Attorney General’s Office for the next three years to demonstrate compliance with today’s resolution. Motel 6 has more than 1,200 locations across North America with more than 105,000 rooms. The company owns and operates 26 locations in Washington. The Attorney General’s Office began to investigate Motel 6 locations in Washington after two Motel 6 locations in Arizona made national news for voluntarily providing guests’ personal information to ICE in 2017. During the investigation, Motel 6 admitted that at least six of its corporate, Washington state locations — in Bellingham, North Everett, South Everett, South Seattle, SeaTac and South Tacoma — shared personal information of its guests with ICE. During the course of the lawsuit, Ferguson found that an additional location, around SeaTac, also provided guest information to ICE. The Motel 6 guest information disclosures led to significant harmful consequences, including the detention and deportation of many guests and the suffering of their families. Motel 6 shared their customers private information to ICE in order to find any undocumented customers which ICE would come and arrest. As of April 8th Motel 6 was fined 12 M dollars for this. 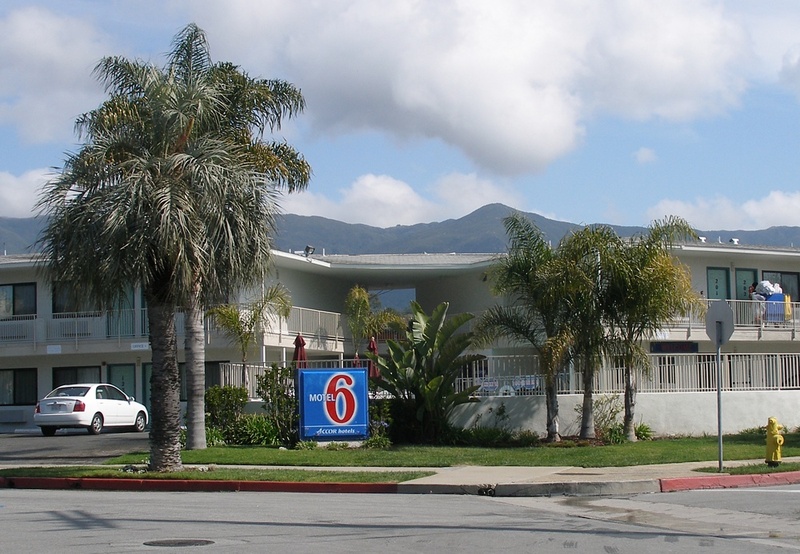 The first Motel 6 in Santa Barbara, California, remains in business. In anticipation of ICE’s daily visits, some Motel 6 locations routinely printed their guest lists and a form, referred to as a “law enforcement acknowledgement form,” which the ICE agents signed upon receiving the day’s guest list. Motel 6 trained new employees to provide law enforcement with private guest information using the law enforcement acknowledgement form. The training and practice did not require law enforcement or ICE agents to produce a warrant. At the two Everett locations, for example, ICE agents routinely visited the motels early in the morning, sometimes twice a day, from February 2015 through September 2017. ICE agents requested the day’s guest list, circled guests with Latino-sounding names and returned to their vehicles. The Attorney General developed evidence that ICE later returned to the motels and arrested at least nine guests from these two locations alone. Assistant Attorneys General Mitchell Riese and Andrea Brenneke of the AGO’s Civil Rights Division are handling the case for Washington. Ferguson created the Wing Luke Civil Rights Division in 2015 to protect the rights of all Washington residents by enforcing state and federal anti-discrimination laws. Ferguson named the division for Wing Luke, who served as an Assistant Attorney General for the state of Washington in the late 1950s and early 1960s. He went on to become the first person of color elected to the Seattle City Council and the first Asian-American elected to public office in the Pacific Northwest. The Office of the Attorney General is the chief legal office for the state of Washington with attorneys and staff in 27 divisions across the state providing legal services to roughly 200 state agencies, boards and commissions. Visitwww.atg.wa.gov to learn more. If you or a family member stayed at a Motel 6 in Washington between Feb. 1, 2015 and Sept. 17, 2017, please submit a claim for restitution here. The Attorney General’s Office is not part of the federal government and submitting a claim does not require you to disclose your immigration status.